Gite Pierre Belle has excellent access to both Chamonix and Les Houches Ski and hiking areas with a bus stop a few minutes’ walk away. 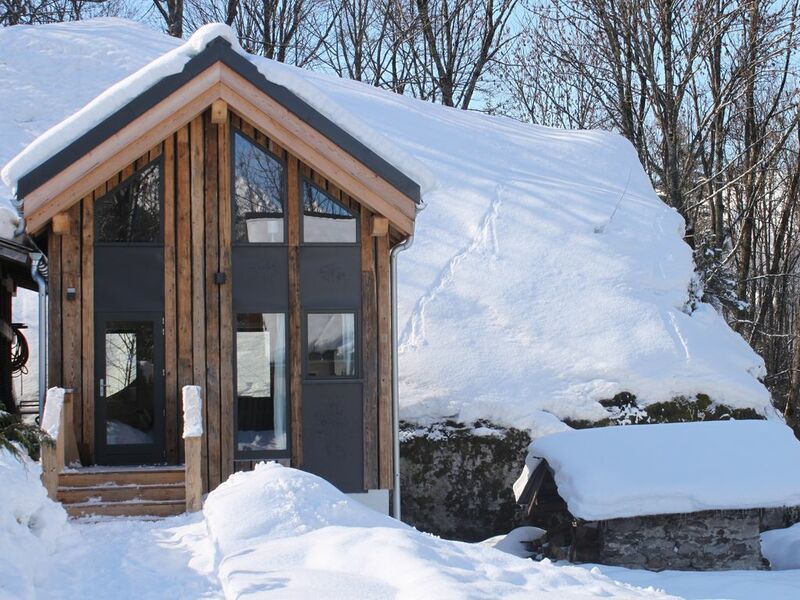 This 2 bedroom, 2 bathroom modern chalet has contemporary and eco-friendly facilities and features. The chalet has a middle / ground floor level with open plan kitchen dining room and lounge. There is a sofa bed in the lounge if you wanted to sleep 6 people. On the top floor is the main bedroom with fantastic views up the mountain and separate bathroom with shower. In the basement is another bedroom with en-suite bathroom. This bedroom can be accessed by steep steps/ladder from the main living area or directly to the room from an external door. The garden hosts a traditional 18th century bread oven and a massive boulder over 12m tall where the chalet gets is name Pierre Belle ( Beautiful Rock). We (Ros & Phil Emmott) live in Chamonix, in the French alps with our young daughter. We own and manage four beautiful, high specification properties in Chamonix operated under our business, Chamrock.fr. Having lived here full time since 2015, in our spare time, we love to ski, climb and hike. Whilst not at the highest level it's the enjoyment that matters. We enjoy sharing our knowledge of the local area. Your stay with us will be well managed, the apartments contain everything you need (including all linens, towels etc) and are cleaned to the highest standards. Chamonix is a fantastic place for a holiday all year round with fantastic skiing and snow boarding in winter and climbing, hiking, cycling, walking and alpinism from May to November. Apart from these activities, it is a beautiful alpine town with world class attractions such as the Aiguille du Midi, at 3,842 m giving a spectacular view of Mont Blanc and in town, lovely varied places to eat, drink and go out.